An ideal introduction to mammalian anatomy, which can be used in the classroom in place of some dissections. Clearly coloured, the model is male, life size and mounted on a plastic base. 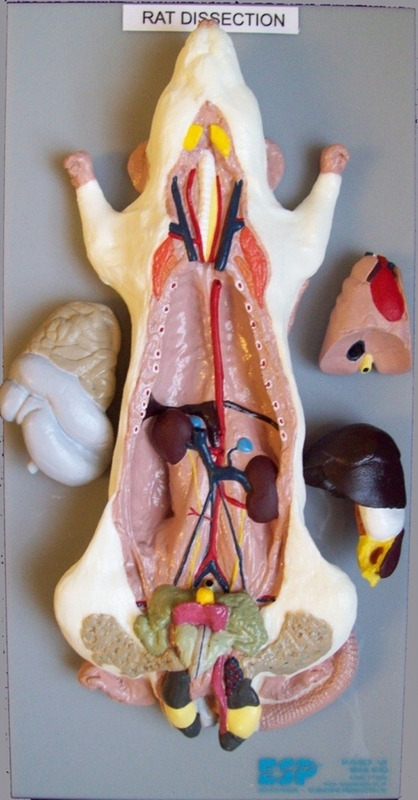 The heart and lungs, liver and stomach, and intestines are removable to show other internal organs. A key card with 5 detailed diagrams is supplied. Base size 30x15cm.